October 23: the anniversary of the 1956 Hungarian Revolution. One of the two public holidays in Hungary—along with the March 15 anniversary of the 1848 Hungarian Revolution—on which political parties and groups in the country typically hold public events. Powerful political parties can draw thousands, even tens of thousands, of supporters to demonstrations and rallies on these dates, while even modest groups and organizations usually manage to attract hundreds of people. Attendance at political events held on October 23 and March 15 provides one of the most accurate gauges of the active support for political parties and groups in Hungary. 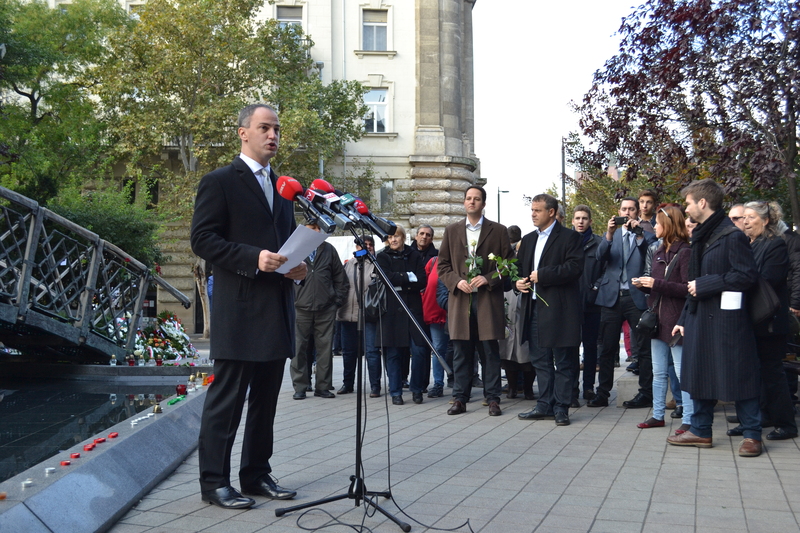 On October 23, 2015, Orange Files attempted to attend as many of the democratic opposition’s official political events in Budapest as possible. Below is a summary of these events. Together President Viktor Szigetvári speaks near the Imre Nagy statue (photo: Orange Files). 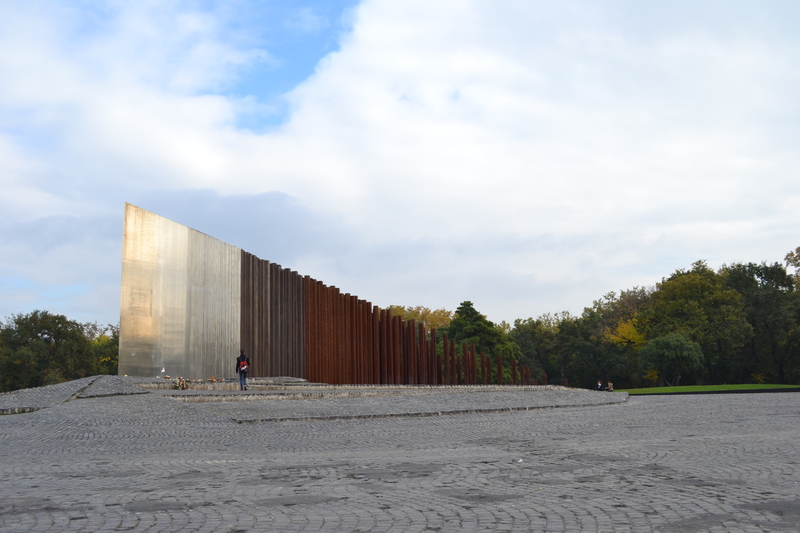 Orange Files arrived to the site of Democratic Coalition President Ferenc Gyurcsány’s speech at the 1956 memorial near Heroes’ Square about 15 to 20 minutes after it was scheduled to start and found nobody there. The assumption: either got the time and/or place wrong or the former prime minister cancelled the event due to illness. The reality: Gyurcsány completed his speech and left in what the website index.hu said was “record time” (source in Hungarian). 1956 Hungarian Revolution memorial near Heroes’ Square shortly after Democratic Coalition President Ferenc Gyurcsány’s speech (photo: Orange Files). Dialogue for Hungary President Gergély Karácsony speaks at the István Bibó statue (photo: Orange Files). 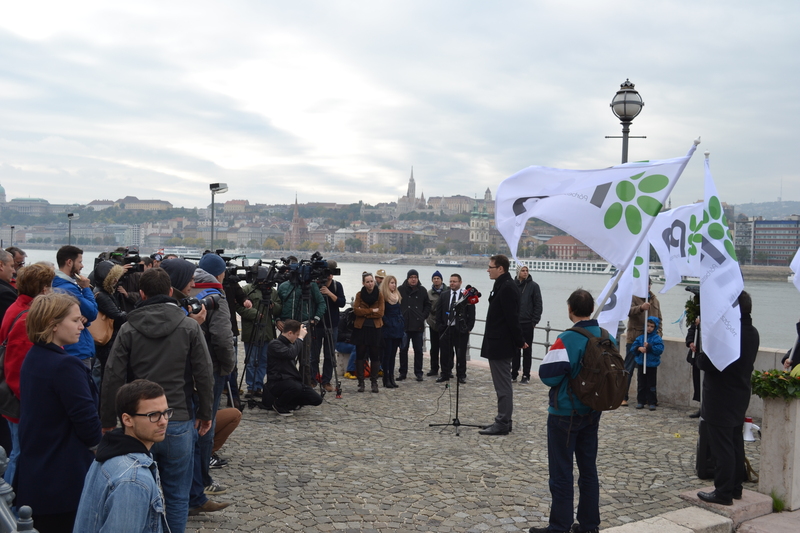 Politics Can Be Different (LMP) held an event in memory of “the heroic Hungarian women” of the 1956 revolution at Péter Mansfeld Park way up in the Buda Hills above Margaret Bridge. Orange Files huffed and puffed by bike up Margaret Street, took a wrong turn and missed the isolated park and the entire event. 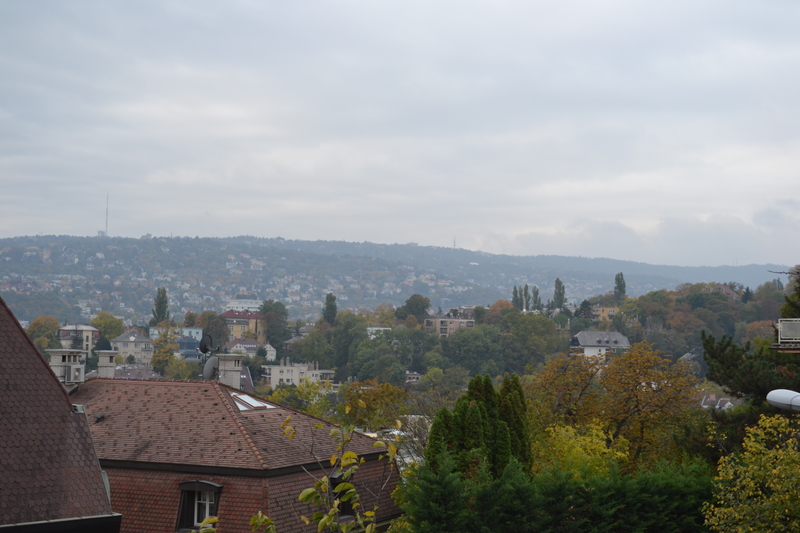 LMP is somewhere in these hills (photo: Orange Files). The New Hungarian Republic Association: the biggest (democratic opposition) demonstration of the day (photo: Orange Files). 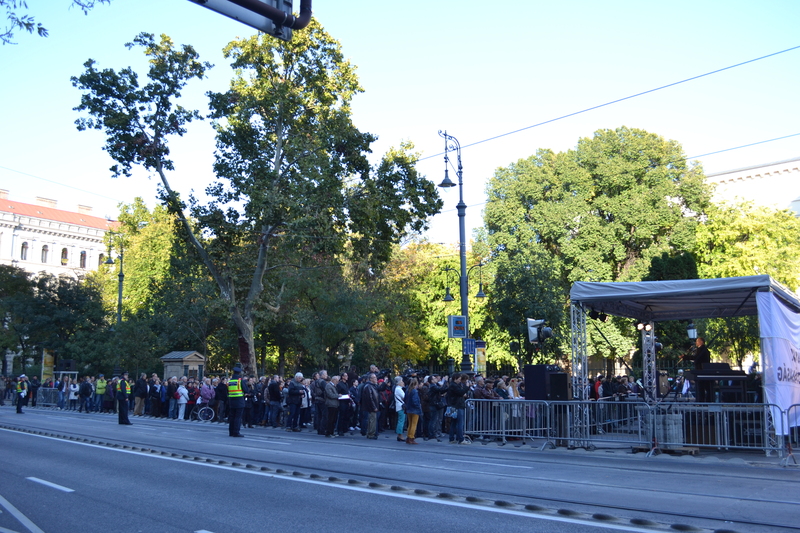 Just a few hundred people attended the five events that democratic opposition parties and organizations held in Budapest on October 23, 2015. The most popular democratic opposition party—the Hungarian Socialist Party—did not even hold an event in Budapest on October 23, presumably based on its expectation of an embarrassingly low turnout. The meager attendance at these events reflects the extremely weak support for the ideals of liberal democracy in Hungary and suggests that the country’s democratic opposition parties will not pose a challenge to illiberal Prime Minister Viktor Orbán’s hold on power over the foreseeable future.